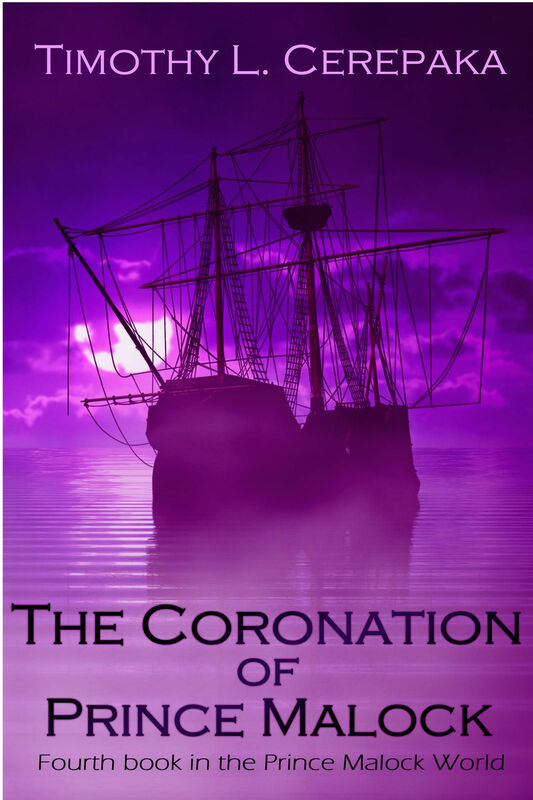 “The Coronation of Prince Malock” is now available on all ebook retailers for $7.99! The fourth and final book in the main Prince Malock World series of novels is now available on all major ebook retailers for $7.99! of his friend, Skimif, who recently took on the role of God of Martir. Even as Malock fights to keep Carnag from joining the ever-growing coalition of Northern nations that are against Skimif’s rule, the ever-growing mountain of evidence against Skimif’s innocence causes doubt to gnaw at the back of his mind. Ever since moving to the frigid far north, hundreds of miles away from the rest of civilization, with her adoptive father Quro, Jenur Takren believes that she can finally live the life of peace and normalcy that she’s always desired. Yet when an old enemy appears, seeking to kill her and her father for their past sins, Jenur is forced one again to use her skills of assassination to defend not only her own life, but that of her father’s as well. Please remember to leave a review on whichever site you buy it from. Every review helps. Also, a trade paperback version will be available for purchase from CreateSpace very soon. As I said a couple of days ago, today I will reveal the title and synopsis for my NaNoWriMo novel, which I will start work on next month. I am very much excited about this book, as I think it has the potential to be a really awesome book. Book title and synopsis under the break. 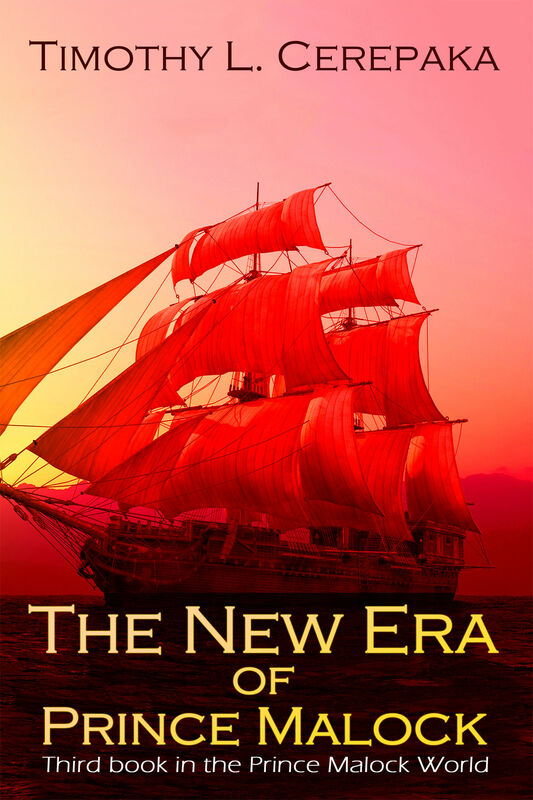 “The New Era of Prince Malock” is now available in ebook form for $6.99! The New Era of Prince Malock, sequel to last month’s The Return of Prince Malock, is now available as an ebook on all major ebook retailers for $6.99! Yes, I know I said it was coming out next month, but my cover designer got back to me much quicker than usual and I didn’t see any reason to delay, so I thought I’d just release it now. With the end of the world drawing closer every day, Prince Tojas Malock of Carnag leads his ragtag band of friends and allies through the dangerous southern seas to the very edge of the world in a race against time. Though Malock is determined to save the world, the gods have other plans for him and his friends, plans to derail the quest and allow the whole world to tumble end over end into oblivion. Meanwhile, on the island of Carnag, Skimif, the aquarian leader of a social movement dedicated to ending worship of the northern gods, struggles to preserve the morale of his followers in the face of constant persecution from the government, as well as maintain his own optimism in the face of the incoming apocalypse. It is the discovery of his true destiny, however, that leads him down a path that will forever change who he is. In this tale of mortals and gods, of destiny and apocalypse, fantasy author Timothy L. Cerepaka weaves an unforgettable story that will certainly resonate with readers and stay in their minds long after reading the last page. A trade paperback version will be available from CreateSpace next month, but I will be doing a cover reveal for the print version tomorrow, so keep an eye on this blog until then. Next month will be the ebook release of the third book in the Prince Malock World, The New Era of Prince Malock, with the release of the print version from CreateSpace to follow in late November/early December. With the end of the world drawing closer every day, Prince Tojas Malock of Carnag leads his ragtag band of friends and allies onward to the very edge of the world in a race against time. Though Malock is determined to save the world, the gods have other plans for him and his friends, plans to derail the quest and allow the whole world to tumble end over end into oblivion. Feel free to share your thoughts about this blurb. Whether you like it or don’t like it or think it could be better or whatever, all thoughts are appreciate and will be taken into consideration as I revise the blurb. On the other hand, if you think it’s just fine the way it is and want to be the first to know about the release of The New Era of Prince Malock, then subscribe to my newsletter HERE, where you will be the FIRST to know about my new releases as soon as they are available. Regarding the special announcement I mentioned in the title above, I am pleased to announce that The New Era of Prince Malock is not going to be the last book in the Prince Malock World series. It will be followed in January 2015 by Book Four in the Prince Malock World, currently titled The Coronation of Prince Malock. Book Four will be the final book in the series, but though this will be the finale, it will not be the last book set in the world of Martir. Stay tuned for another special announcement that I’ll do on this blog shortly after the release of The New Era of Prince Malock, in which I will discuss some of my future projects, including a new series set in the world of Martir that I think is gonna be awesome. Again, if you’d like to be the first to know about the release of The New Era of Prince Malock and later on, The Coronation of Prince Malock, please subscribe to my newsletter HERE or by clicking the newsletter tab above. Newsletter subscribers are always the first to know of my new releases, so if you want to know about my releases as soon as they’re available for sale, then click that link and type in your email address right NOW. Also, I’ll be doing a post about NaNoWriMo shortly, likely later this week. I will definitely be participating this year and I will announce my NaNo novel here on the blog. Won’t say much about it yet except that it is completely unrelated to the Prince Malock World series, although it is a fantasy novel (sort of) and will likely be a standalone, rather than the first in a new series. So keep a look out for that later this week. “The Return of Prince Malock” Trade paperback version now available on CreateSpace and Amazon! 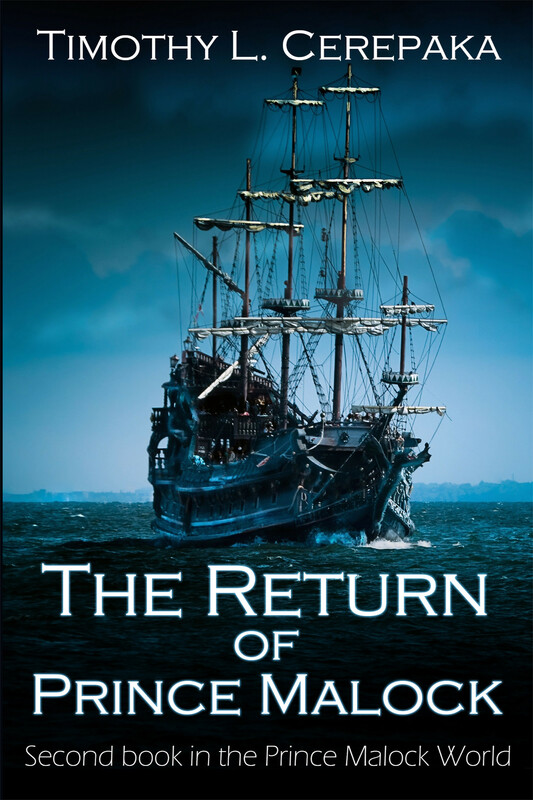 My newest novel–The Return of Prince Malock, the sequel to June’s The Mad Voyage of Prince Malock–is now available for purchase in trade paperback edition from Annulus Publishing for $15.99 on Amazon and CreateSpace! If you don’t like to buy from Amazon or CreateSpace, no worries. You can just go to your local indie bookstore and ask them to order it for you. Also, the print version of the book is enrolled in Amazon’s Kindle MatchBook program. So if you buy a new version of the trade paperback version of The Return of Prince Malock from Amazon, you can get the ebook version for FREE! If that sounds like a good idea to you, then go buy the book from Amazon right now and get your FREE ebook copy with it. Also, the third book in the Prince Malock World, The New Era of Prince Malock, is still set for a November 2014 release date. Subscribe to my newsletter HERE to be the first to know when it is released! “The Return of Prince Malock” is now available on all ebook retailers for $6.99! My newest novel–The Return of Prince Malock, sequel to June’s The Mad Voyage of Prince Malock and the second book in my Prince Malock World series–is now on sale on Amazon, Barnes & Noble, Kobo, Google Play, and every other major ebook retailer on the Internet for $6.99! After the disastrous voyage to once-mythical island of World’s End, Prince Tojas Malock is no longer sure what he believes in anymore. All he wants is time to think about what he and his crew have experienced and to see his home once more. But upon returning to Carnag, Malock’s parents—King Halock and Queen Markinia, the rulers of Carnag—reveal that they have already arranged a marriage between him and Princess Raya Kabadi, the Princess of Shika, to take place exactly one month later. This leads into a series of events that Malock couldn’t have possibly foreseen or prepared for, including the rise of a new social movement dedicated to ending worship of all of the northern gods. In this riveting sequel to The Mad Voyage of Prince Malock, author Timothy L. Cerepaka delves deeper into the world of Martir, a world where the gods are divided and the mortals must do whatever it takes to survive. The print version of the book will be available via CreateSpace, Amazon, and your favorite bookstore in early October. I’ll be sure to let y’all know about it once it’s released. Also, I am pleased to announce that the next book in the Prince Malock World series, titled The New Era of Prince Malock, will see an ebook release from Annulus Publishing sometime in November, with a trade paperback edition following in December. If you’d like to be the first to know about its release, then subscribe to my mailing list HERE, where you will be the FIRST to know about the release of The New Era of Prince Malock and any other books or stories I release. When Skimif—an aquarian farmer of seaweed, a highly profitable business in his hometown of Tunya, a small town located not far from the larger city of Nemo—opened his eyes, he at first saw only darkness, but then a brilliant light shone forth, almost blinding him in its intensity. Yet he couldn’t close his eyes, couldn’t even look away, and soon the brilliant light disappeared, replaced by the rays of the sun that illuminated a barren earth hundreds of miles below him. Then cracks in the ground began to appear and soon they burst, unleashing tons and tons of water, more water than Skimif had ever seen in his life. He saw the water cover the entire surface of the planet, rapidly growing until all that was left was a gigantic continent and thousands, if not millions, of tiny islands scattered everywhere. Skimif blinked, and the next moment found himself standing in the middle of a huge jungle on the continent. He blinked again and saw a naked human lying curled on the ground before him. The human had brownish skin and appeared to be male. The human opened his eyes and looked around at his surroundings like a newborn baby seeing the world for the first time. It took Skimif a moment to realize that he was seeing the human through his left eye. Through his right, he saw an aquarian—one who resembled a hammerhead shark, much like he did, except thinner—floating in the deep ocean, observing the world around her with the same expression that the human wore. Seeing both simultaneously made Skimif’s head pound and his stomach churn, but he didn’t throw up. Then he was back in the sky again and he saw stars falling from the night sky, but they weren’t stars at all. Instead, they were beings of all shapes and sizes. One being that flew past him was a woman who appeared to be made out of water; another was an octopus-like creature with a green humanoid head. There appeared to be hundreds of thousands of these beings, each one glowing as brightly as the next, as they soared toward the earth below. And then Skimif was flying with them and he soon found himself standing in the middle of a desert, a barren plain that stretched for miles in every direction. But the plain was not entirely empty. The stars—the beings, the gods—had landed on the ground, but rather than co-mingling together, they took sides. Half of them stood on the north side of the desert, while the other half stood on the south side. And in between them were a handful of statues that looked just like humans and aquarians. Another shift in reality found Skimif standing in the jungle from before, but things were different now. The trees burned with flames, while the jungle itself slapped away at the flames with thick wet vines. Yet with every flame the trees succeeded in putting out, a dozen more would spring up in its place. Skimif looked up and saw two beings—one a being wreathed in fire, the other a man with green skin—in combat in the area, their every movement mimicked by the fire and trees below. One more shift and Skimif found himself hovering over the surface of the Crystal Sea, but the Crystal Sea was not its usual smooth, calm self. Hundreds if not thousands of gallons of water arose from the ocean, growing larger and larger, while a nearby volcano shook like a vibrating bone. Then the volcano exploded, sending plumes of smoke and flame and magma hurtling toward the water. The volcanic projectiles struck the walls of water, evaporating much of it while simultaneously creating a massive steam cloud. It looked like the volcano had won, but then the sea rose up again and fired toward the volcano, striking its base with enough force to crack it open. As with before, Skimif noticed two beings. One was a woman whose body flowed like the ocean waves, while the other was a woman with lava for hair. The two females seemed to be in control of the sea and volcano, respectively, but before Skimif could see who would win, another blink transported him to the clouds above. No; above the clouds. The whole world lay out before Skimif, like the fields of seaweed that he farmed. His eyes were drawn to the massive green continent directly below him, a continent that seemed to cover the entirety of the northern half of the world. Then he noticed huge cracks spreading through the continent’s surface, which divided over and over again into smaller and smaller cracks until the whole thing exploded. When the explosion cleared, the massive green continent was no more. In its place were hundreds of thousands of islands, some large, some small, but each completely independent of the others surrounding it. One thing all of the islands had in common, however, was the mass cries of pain and fear that seemed to reach up to the heavens themselves, as if the inhabitants of each island were crying out for the help of a higher power. Then Skimif felt something behind him and he turned. He couldn’t comprehend even half of what he was currently looking at. It appeared to be—and he couldn’t even say this with one ounce of certainty—tendrils made of light reaching out from the darkness of the sky. They reached from beyond the sun, from beyond the stars, down into the planet below. When Skimif turned to follow the tendrils, he found himself down in the world again, hovering over the sea. He was not alone, however. The gods from before—that had to be who they were, they couldn’t be anyone else—also hovered above the waves that crashed below, but the waves were much more subdued now, as if they were tired and needed a nap. As earlier, the gods were separated into two groups: One in the north, one in the south. But the gods looked different now. Though each side still had hundreds of gods, it was clear that both sides had lost a significant number of their fellow deities. Of those who were still alive, only perhaps a dozen altogether appeared uninjured. The rest looked like they had been through a war, with injuries ranging from the broken limbs to bashed skulls, as well as one god who was missing one whole arm and didn’t seem to have grown it back yet. A brilliant glowing line separated the two groups, which Skimif realized was one of the light tendrils from before. A god from each side approached the line, but it was reluctantly. The god from the northern side resembled a bald man with golden robes that shone brilliantly, like the afternoon sun, while the god from the south side resembled a strange octopus-like creature, with a green human-like head on top. The two stopped just before either of them could cross the line. Then their right arms were jerked up, almost unnaturally so, and they shook hands, like they were putting aside their differences to become one. But it was clear that they hadn’t forgiven each other. The two of them glared at each other and let go of the other’s hands as soon as they could. As soon as the two gods ceased their handshake, everything changed again. Everything moved quickly now. He saw all of history play out before him. Nations, empires, and kingdoms rose and fell; humans and aquarians alike discovered magic and its various uses; war spontaneously broke out between humans and aquarians or between humans and humans or aquarians and aquarians; the gods intervened occasionally; and then Skimif saw a massive city on the edge of the world, jutting out into the endless void beyond creation. Then the light tendrils from before extended from the Void. They wrapped around the city’s massive buildings and began to tear apart the city itself. The gods appeared to combat the tendrils, but they were knocked aside as easily as if they had been annoying insects. Even worse, the gods did not get up. Then Skimif gasped and his eyes opened, but for real this time. His arms were tied down by something, he didn’t know what, but he thrashed about to free himself anyway, biting at his bindings. His sharp teeth cut through the thin bindings and he swam up through the water until he was well above the tendrils that had sought to hold him down. His heart beating fast, Skimif looked down and realized that he had only fallen asleep in his seaweed field. A quick glance at his arms and legs told him that he had simply gotten his limbs tangled in the seaweed, which meant that he had overreacted slightly. It took Skimif a moment to remember how he had gotten there. He had been swimming through the field, looking for any weed-gobblers after hearing of an outbreak of them just north of Tunya, when he had lost consciousness for no reason. It took him even longer to remember what he had seen in his dream. No, Skimif thought, shaking his head. Not a dream. A vision. A vision of the future. But upon returning to Carnag, Malock’s parents — King Halock and Queen Markinia, the rulers of Carnag — reveal that they have already arranged a marriage between him and Princess Raya Kabadi, the Princess of Shika, to take place exactly one month later. This leads into a series of events that Malock couldn’t have possibly foreseen or prepared for, including the rise of a new social movement dedicated to ending worship of all of the northern gods. and the mortals must do whatever it takes to survive. Want to be the first to know when The Return of Prince Malock is release? Then subscribe to my newsletter right here. I will send you an email announcing its release along with links to where you can buy it. “The Mad Voyage of Prince Malock” now available on Google Play, DriveThruFiction, Barnes & Noble, Libiro, and XinXii! Just a quick update for my readers who haven’t been keeping up to date with my novel, The Mad Voyage of Prince Malock. In addition to being available on Amazon, Kobo, and Smashwords, The Mad Voyage of Prince Malock is now available on Google Play, DriveThruFiction, Barnes & Noble, Libiro, and XinXii. On Xinxii and DriveThruFiction, it is available in PDF, Mobi, and ePub, so you can read it in your favorite eBook format! The print and audio editions will be coming soon. If you want to know when they will be available, sign up for my newsletter list here. Also, I am pleased to announce that this July will mark the release of my new fantasy novella, titled The Activist, or the Snake’s Chuckle. If you would like to know when that is released, just click the link above to my newsletter and you will be notified of its release as soon as it is published. I will reveal more information on this novella building up to its release next month. Recently I have started editing my soon-to-be-released first novel, The Mad Voyage of Prince Malock. I am largely doing this to fix some of the more obvious errors I made while writing it, as well as to figure out the book’s exact timeline. It takes place over several months, which is longer than usual for my works, but I didn’t work out a timeline while writing it and now I am doing so to make sure I didn’t make any glaring errors. Keeping track of time in a novel is always a difficult task, even if you keep it vague and nonspecific. So far, I have not found any glaring time errors, but I just started and there’s still quite a bit to do, so I may spot something later on. After that, I intend to have some friends look it over, then have it copyedited, finalize the cover, format it, and then publish it on as many ebook stores as I can (Amazon, Smashwords, Kobo, B&N, etc.). I will also do a print edition that I will release shortly after the ebook version. I do not have a release date for it yet. Depending on how fast things go, I may publish it as early as the end of June or as late as the beginning of August. It’s actually coming along a lot faster than I thought it would, really. I’ll make sure to announce the release date on this blog so I’ve decided on it, though, so stay tuned. Amazon has rolled out its Kindle MatchBook, a new program that allows customers the option to purchase discounted Kindle Editions of print books that they have purchased new from Amazon. The eBook editions are sold as an add-on purchase. Most cost somewhere between free and $2.99. I knew they were going to do this eventually. It was inevitable. They already give you the digital versions of songs if you buy the CD. With the popularity of ebooks on the rise, it was only a matter of time before they did something like this. And I approve of it (c’mon, Amazon, I know you were looking for the approval of an obscure blogger whose existence you probably weren’t even aware of. Don’t be bashful). The only part I don’t like is that you will have to pay for some ebook editions. $2.99 isn’t much, true, and most will probably cost less than that, but it still seems like a rip-off to me. At least you don’t have to pay the same price for the ebook as the print edition. What do you think? Good, bad, or meh?